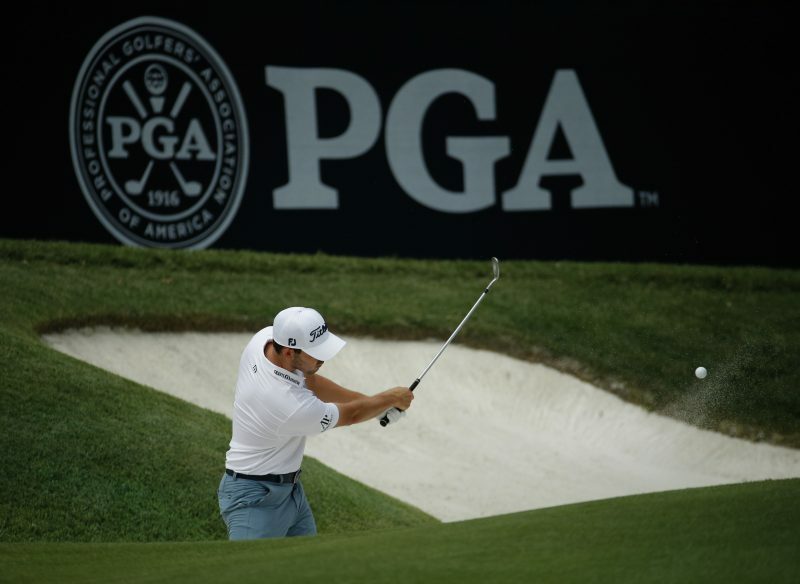 St. Louis (AP) — The PGA Championship finally found its identity. It’s the one major where players are allowed to practice in shorts. But it’s not just the steamy heat of golf in August. It’s not unusual for players to go a week or two early to see Augusta National (mainly because they can), or the U.S. Open course. The roster of players who took a side trip to St. Louis to see Bellerive is much smaller. Phil Mickelson and Zach Johnson were here early last week. Dustin Johnson and Brooks Koepka were among those who didn’t have time. They went from Scotland to the Canadian Open to Ohio for the Bridgestone Invitational. “You can do this when you have an early tee time on Sunday,” Spieth said, referring to his tie for 60th last week at the Bridgestone Invitational. He didn’t have his best stuff last week and finished the final round in the early afternoon. Spieth gets his second chance to try to complete the career Grand Slam, achieved by only five others since the Masters was created in 1934. He figures one of these years, he’ll be in good form on a course that suits him, and Bellerive might be one of them. Only 15 players in the field have competed at Bellerive, either at the 1992 Championship or the 2008 BMW Championship. That doesn’t include Tiger Woods. He was at Bellerive and even played the course in practice for the 2001 American Express Championship, which was canceled because of the Sept. 11 terrorist attacks. He had knee surgery after winning the 2008 U.S. Open and missed the rest of the year. It shouldn’t matter, for him or anyone else.